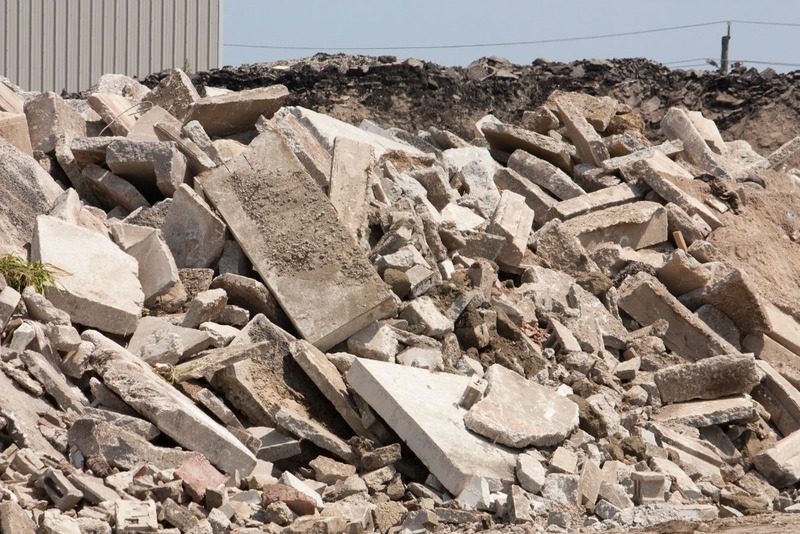 If the idea of generating waste is keeping you from converting an unsightly concrete slab into gorgeous driveway pavers or making any other home improvements, you might be surprised to know that a decent amount of construction waste is actually recycled now. This is a good thing because, according to the County of San Diego, San Diegans throw away 1.4 million tons of debris from construction, demolition and renovation projects annually. This number makes up about 20-35% percent of total waste that enters local landfills. Giving construction material a second life creates jobs county-wide, relieves pressure on our landfills and conserves natural resources like trees and water. Recycled products typically take 50% less energy and water to produce, resulting in much less pollution to the environment. It’s a win-win situation, but meeting county recycling guidelines does take a bit of effort on the part of the homeowner and contractor. Government officials are keen to recycle construction debris not only to avoid local landfills reaching capacity, but the state has certain requirements the county needs to meet in order to avoid fines. The good news is that a county-wide construction and demolition ordinance went into effect in 2007. It outlines what the county expects construction sites to divert from landfills by recycling, reusing or donating usable materials and how to do it. Unless there are unusual circumstances involved, the county expects that 90% of inert material (concrete, dirt, masonry, tile, asphalt, brick as defined by California Code of Regulations Title 14) be recycled along with 70% of other material (roofing, drywall, cabinets, appliances, cardboard, scrap metal and more) in unincorporated parts of the county and 50% of all construction and demolition (as determined by weight) in most other parts of the county, including the city of San Diego, Solana Beach and others. Note that these ratios are always subject to change. As of January 1, 2014, the ordinance usually applies to your project if it needs a building permit and is 1000 square feet or more. There are a number of exceptions including roofing, stair repairs, pool repairs and other situations outlined in the Construction and Demolition Deposit Schedule. Rules and regulations may vary based on whether or not a project is in the city of San Diego or other cities within the county that issue their own building permits. Most driveways and walkways don’t need permits anyway, as outlined in county section 91.1.105.2, and you don’t need a permit to install pavers in most situations. Ask your contractor, if you are unsure. Complying with the ordinance means creating a debris management plan that outlines expected debris type generated and where you plan to take it. A performance guarantee or fee based on the size of your job is required and refunded based on whether you were able to meet the percentage requirements. Even if permits aren’t required or a project is small enough to avoid the ordinance, many San Diego contractors recycle anyway and there are a number of ways for homeowners to get involved, if desired. A variety of CDI (construction, debris and inert) facilities exist around San Diego County though the one you use must have a county permit for receipt of these materials—most do, but be sure to verify. Some collect debris onsite while others have drop-off facilities that accept mixed loads of construction waste that they will sort for recycling after it arrives. You may not recycle painted or treated wood, hazardous waste, windows, mirrors or garbage. Remember, if you’re replacing your lawn with artificial turf or water-wise ground covers, the lawn and most garden waste is recycled into compost or wood chips at Miramar landfill. San Diego residents may purchase these items from Miramar at a great price. Construction material can be sorted onsite or at the facility. Separating material onsite can be a less expensive option is usually more likely to yield a greater percentage of recycled and repurposed items. The County says that source-separated items are more likely to be used in high-end recycled products like countertops, tile and other building materials. Haulers typically pass on the savings as the fee for recycling construction debris is less than what is charged for dumping it as trash in a landfill. Homeowners can haul their own waste to permitted CDI facilities but are advised to call in advance as some will not take loads in pick-up trucks. Where homeowners can be most useful is with deconstruction or the careful removal of materials from construction sites in advance. These items can be sold to second-hand or salvage companies, eliminating disposal fees. Do this in advance to avoid a pile-up of deconstructed items that can get in the way of scheduled construction. Let’s talk about concrete because if you’re considering pavers, it’s likely that you’re replacing an old concrete driveway or patio. Instead of trucking the concrete straight to the landfill, it’s taken to a facility for crushing. Concrete headed to the crusher needs to be free from wood, trash and other debris. Giant metal magnets separate rebar from the concrete, which can then be melted down and recycled into other metal items. Crushed concrete is reincarnated as gravel that is used as a sub-base for roads and highways. If it’s free of contaminants, crushed concrete can be used as the dry aggregate for new concrete. It can also be used in many applications where a heavy filler is needed, such as inside some types of retaining walls. What about asphalt? Asphalt is often described as 100% recyclable with just less than 1% entering landfills. In fact, county ordinances forbid it to be placed in the trash. Big asphalt recycling centers have the technology to repurpose it right back into usable asphalt. The only caveat is that the new product isn’t water tight so it does require a small layer of new asphalt laid on top of it, but this is in lieu of using a thicker layer of new asphalt. Smaller recycling centers repurpose old asphalt into the stuff that patches holes or utility cuts in roads. It’s been determined that the recycled products last almost as long as new asphalt. Have a brick driveway or patio? 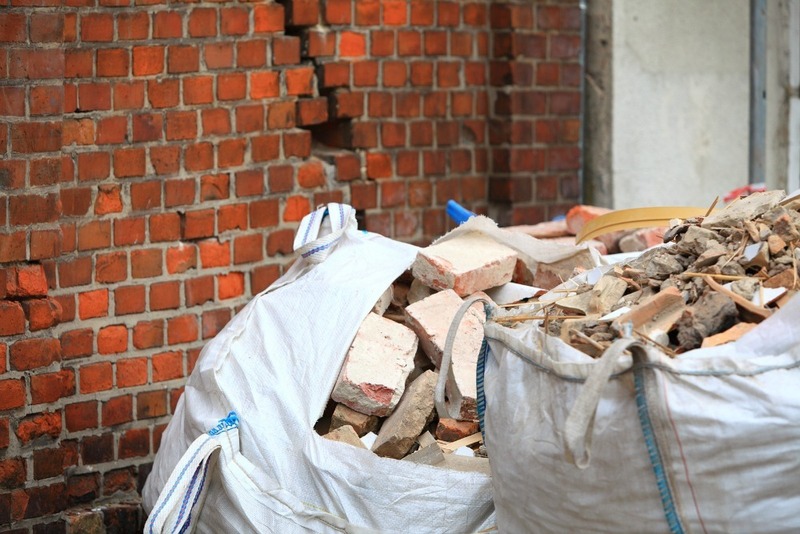 A decent market for second-hand or distressed bricks allows ones in good condition to be reused. If the bricks are broken, they can be recycled into new bricks. Alternatively, crushed brick chips can add color to borders and planters. Why put up with a cracked driveway when you could have a beautiful one like this? With today’s options, your project can be much more eco-friendly than it would have in prior years. 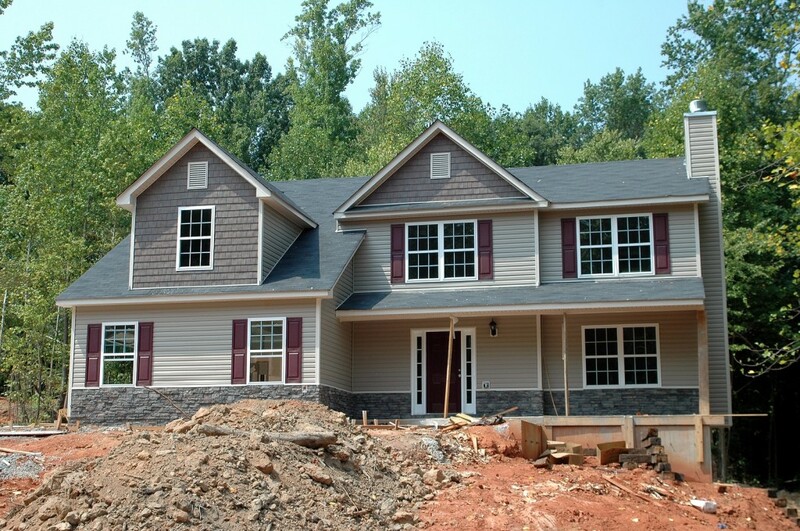 Have you been delaying a home improvement project? Why?